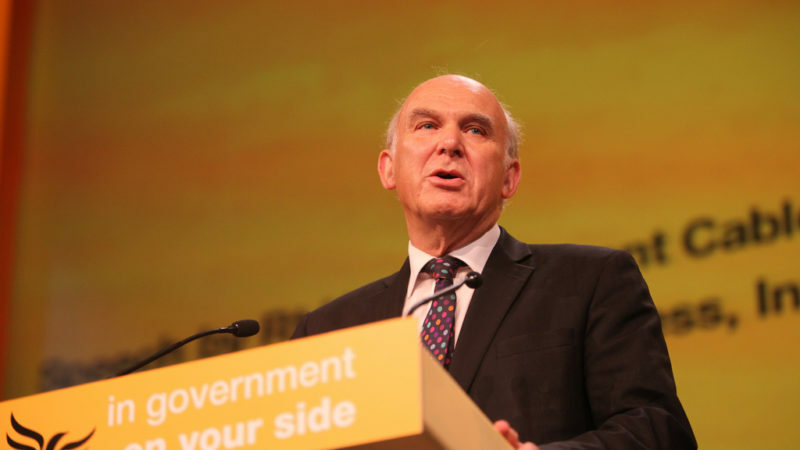 During the largest annual housing conference, Liberal Democrats leader Vince Cable advocated boosting housing supply, especially social house-building. He also insisted that we must create a more affordable and secure housing system, build on environmentally obsolescent sections of the green-belt, and confront ‘in situ’ housing needs, such as poor conditions, unaffordability and insecurity. Of course, many will remember that Vince Cable, and the party he now leads, sat at the centre of the Coalition Government for five years. The Coalition was largely responsible for exacerbating the national housing crisis. It deteriorated affordability in the home ownership and private rented sectors, raised homelessness, rough sleeping and use of temporary accommodation, oversaw historically low levels of house-building, stripped the social rented sector through more generous discounts for council tenants to buy their homes and not replacing them on the promised like-for-like basis. That having been said, the Lib Dems have now developed a comprehensive draft housing strategy, which is more than can be claimed for the current government. In his speech, Cable proposed that 300,000 new homes a year need to be built. This level of house-building has only been achieved a handful of times since WWII, the last time being in the 1960s. The Lib Dems recognise the need to build more social housing (50,000 each year initially rising to100,000 later). The Lib Dems’ ambition to scale-up house-building to 500,000 homes eventually each year is unprecedented historically. Providing more social rented homes will involve the welcome removal of the cap on local authority borrowing, use of stronger Compulsory Purchase Orders (CPO) powers, providing capital subsidy to housing associations to build, and removing the affordable housing exemption for small developments. Cable advocates selective building on the green-belt to create planned communities with supporting infrastructure – whether in an updated form of new towns or ‘garden villages’. The Lib Dems also identify parts of the green-belt – such as disused petrol stations, abandoned warehouses, or tracts of land adjacent to motorways – as areas that could take more housing without compromising the ‘beauty and tranquillity’ of the countryside. Cable went on to propose the creation of a dedicated, arm’s length, agency – non government and non-profit – to take a key role in acquiring land at low cost at current use value. The new body – a British Housing Company – would be empowered by law to acquire land of low amenity and market value through compulsory acquisition. The aim would be to acquire sites at a price as low as 40% of the land acquired in the open market, without paying the ‘hope value’ which is attached to sites currently earmarked as having development potential. A welcome element in the evolving Lib Dem housing strategy is recognition that solving the housing crisis needs to go beyond building more homes. Cable notes that millions of households will continue to live in existing housing which is in poor condition, unaffordable and insecure. He advances, in the wake of the Grenfell Tower fire, a series of measures to raise quality, safety and environmental standards in the existing stock, alongside a commitment to zero carbon status for new and existing housing stock by 2050. Measures would include safety upgrades for high-rise blocks, an insulation retrofit for 4 million existing homes with low thermal efficiency, and reducing exploitative, greedy, negligent or neglectful practices in the private rented sector (including a mandatory licensing system). Cable also hoped to promote longer private tenancies with inflation or wage-linked rents, a ‘right to buy’ – right of first refusal – for sitting tenants when a landlord sells, capping upfront deposits, and banning letting agencies’ fees for tenants are all timely proposals. Taken together, these proposals would do much to alleviate the national housing crisis. They are welcome and they show the Liberal Democrats leaning towards centre-left to left policies – something they have tended to do since the Brexit referendum in 2016. However, recent history shows that, when in government, the Lib Dems, constrained by larger coalition partners to their right, are unlikely to be able to enact any of this. And as the likeliness of a Lib Dem government is low, we can brand Cable’s announcements as well intentioned, but little efficacious.